The International Space Station’s first three-man crew moved in on Nov. 2, 2000, 15 years ago Monday, the first of 45 expeditions to date that have logged a decade and a half of continuous human presence in low-Earth orbit. Some 220 individuals have visited or lived aboard the sprawling laboratory complex to date, building the outpost piece by piece, working through complex research, enduring tragedies on Earth and celebrating hard-earned triumphs, all in the vacuum of space at an altitude of 250 miles and a velocity of 5 miles — more than 80 football fields — per second. The numbers boggle the mind. Building the station required 37 dedicated space shuttle flights to deliver the lab’s solar arrays and truss segments, nine U.S., Japanese and European pressurized modules, the station’s Canadian-built robot arm, science racks, experiment hardware, spare parts and myriad other components. Russia launched two heavy-lift Proton rockets to deliver the Russian-built, NASA-financed Zarya storage and propulsion module and the Zvezda command module, launched a pair of airlock/docking modules aboard Soyuz boosters and built a third that was delivered aboard a space shuttle. Equally important if not more so, the Russians have launched 44 Soyuz crew ferry craft to date, carrying 131 cosmonauts, astronauts and space tourists to the space station. The steady stream of Soyuz spacecraft provided the transportation backbone that kept the outpost operational when the shuttle was grounded after the 2003 Columbia disaster. And in the wake of the shuttle fleet’s retirement in 2011, the Soyuz is the only vehicle currently able to carry crew members to and from the station, serving as a lifeboat between dockings and departures. A cadre of 122 astronauts and cosmonauts representing nine nations has carried out 189 spacewalks to build and maintain the space station, logging 1,184 hours — 49.3 days — of EVA time. Another spacewalk, the 190th, is on tap Nov. 6. All told, station spacewalkers have logged seven times more than the 166 hours of spacewalk/moonwalk time spent by the Apollo astronauts during orbital test flights and moon missions. To deliver the supplies, equipment and research gear needed to support station operations, Russia has launched 61 robotic Progress supply ships to date, including two launch failures. Japan has launched five of its large HTV supply ships and two U.S. companies, SpaceX and Orbital Sciences Corp., have launched 12 supply spacecraft, including two failures. The European Space Agency contributed five Automated Transfer Vehicle — ATV — cargo ships before the program was phased out last year. The resulting space station, after a final shuttle visit in 2011, has a mass of nearly 925,000 pounds, roughly equivalent to 320 automobiles, a spine of pressurized modules stretching 167 feet and a huge solar array truss mounted at right angles that extends 375 feet, longer than a U.S. football field. The NASA-supplied solar arrays have a surface area of 38,400 square feet, enough to cover eight basketball courts, generate 84 kilowatts of power and are tied into more than 8 miles of wiring threaded throughout the complex. More than 350,000 sensors feed data to scores of computers running millions of lines of code. The station has a total pressurized volume equal to a 747 jumbo jet and a useable volume roughly equal to a five-bedroom house. 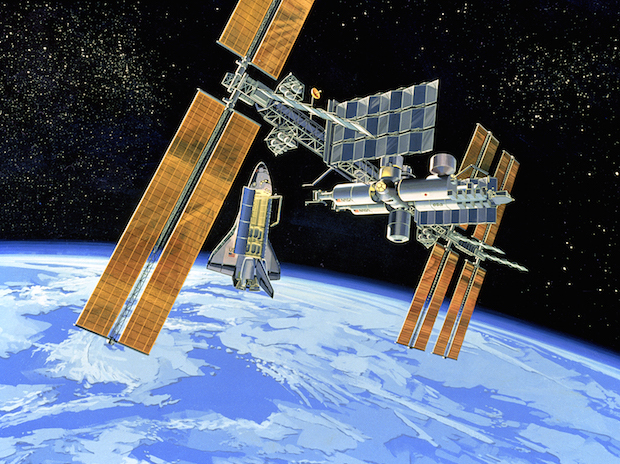 Depending on how one does the math, the International Space Station cost U.S. taxpayers more than $100 billion over three decades, including shuttle assembly flights, making it one of the most expensive engineering and science projects in human history. NASA now spends about $3 billion a year to operate and maintain the complex, and the agency wants to keep the station going through 2024 and possibly longer. Has it been worth the extraordinary price tag? To Bill Shepherd, a three-flight shuttle veteran who served as NASA’s first space station program manager and then commander of the lab’s first crew, the tools and techniques that were used to build and operate the outpost provide a roadmap for how future deep space missions to Mars and beyond will be managed. “I always had in the back of my mind, what would this mean to space efforts 20, 30, 50 years in the future? What were we doing that would affect these future outcomes?” he said in an interview. Astronaut Terry Virts, who returned to Earth in June after 200 days aboard the station, agreed, saying the lab will be remembered for centuries to come for laying the groundwork for future exploration. But John Logsdon, a noted author and space historian, said the jury’s still out on the project’s ultimate value. Learning how to build a large space vehicle may, indeed, inform plans for future missions. But if that’s the only objective, it’s already been accomplished. The question now, with the space station essentially complete, is whether it will generate the science needed to justify continued operations. From a purely technical standpoint, the space station should remain viable at least through 2024, the U.S. government’s current goal, as long as NASA has the resources to build spare parts, pay for cargo launches and provide transportation for U.S. and partner astronauts, either aboard U.S. commercial spacecraft or Russian Soyuz capsules. The station’s long-term survival also assumes Russia stays the course, continuing to supply a steady stream of Soyuz spacecraft and crews, along with Progress cargo ships. And it’s important to remember that neither nation can operate the station on its own. Russian modules and cargo ships provide the propellant and rocket power needed to maintain the lab’s orbit while stabilizing gyroscopes provided by NASA, along with most of the station’s electrical generation capability, are operated by the United States. Michael Suffredini, who retired as NASA’s space station program manager in September, said a recent analysis by Boeing, NASA’s prime contractor, shows the complex is structurally sound and, barring a catastrophic failure of some sort, should remain so through 2028, the 30th anniversary of the Zarya module’s launch. Getting to 2024, the currently approved objective, should be relatively straight forward. Getting to 2028 or beyond, even with political support, will be more problematic. “When we get to 2028, the solar arrays are going to be struggling, I’m probably going to have a handful of radiator (coolant) lines that have been isolated,” Suffredini said. “2028 might be possible, but it also might be very challenging because then you’re talking about the cost of replacing big things that may be prohibitive. “All our analysis kind of says we think we can get to 2028. As we start getting beyond 2028, if it makes sense, and things aren’t failing at a rate that makes it difficult for us to keep up, and the country thinks it’s the right thing to do, then we can look at going beyond that. “NASA will invite other countries to participate so we can strengthen peace, build prosperity and expand freedom for all who share our goals,” he said. The project was projected to cost $8 billion. But that was before engineers began mapping out various design options. Engineers at NASA’s Marshall Space Flight Center in Huntsville, Ala., envisioned an orbital research laboratory with state-of-the-art materials science, biological and medical facilities, including a large centrifuge, while planners at the Johnson Space Center in Houston envisioned a more operational station, with hangar-like enclosures for satellite servicing and spacecraft assembly. What became the space station Freedom program quickly ballooned in complexity and cost. Over the next eight years, NASA spent $11.4 billion on Freedom “and hadn’t built a piece of hardware,” Logsdon said. In 1993 when President Bill Clinton took office, NASA projected another billion-dollar overrun. Leon Panetta, director of the White House Office of Management and Budget, recommended canceling the station outright. But Vice President Al Gore and Treasury Secretary Lloyd Bentsen supported the station and instead of shutting the project down, the administration ordered a redesign. NASA was told to develop options costing $5 billion, $7 billion and $9 billion over the next five years. The agency came up with Option A, calling for a smaller, stripped-down version of Freedom with much less power that could be expanded if desired; Option B, a more capable station retaining many of Freedom’s major elements; and Option C, a completely new design using a space shuttle external tank-like structure to build a vehicle more reminiscent of Skylab, NASA’s first space station. None of the options came in under $9 billion and the Clinton administration eventually requested $10.5 billion over the next five years to continue the program, according to Marcia Smith, founder and editor of SpacePolicyOnline, an expert on Russian space systems and a former space policy analyst at the Congressional Research Service. With the redesign pending, Congress came within one vote of canceling the station that spring. About one month after Clinton took office, Yuri Koptev, head of the Russian federal space agency, and Yuri Semenov, leader of RSC Energia, a major Russian space contractor, had sent NASA Administrator Daniel Goldin a letter suggesting the two countries pool their resources. An earlier cooperative astronaut-cosmonaut exchange agreement was already in place between President George H.W. Bush and Russian President Boris Yeltsin calling for a U.S. astronaut to fly aboard Mir and for Russian cosmonauts to fly aboard NASA’s space shuttle. But the demise of the Soviet Union had sent shock waves through the state-controlled Russian space program, resulting in sharply reduced funding and fears in the West that Russian rocket scientists might provide their services to the highest bidder, including unfriendly states or possibly even terrorists. How bad was it for the vaunted Russian space program? Cosmonaut Sergei Krikalev was caught in orbit aboard the Mir space station in late 1991 when the Soviet Union fell apart. His stay in space had to be extended six months because of a cash shortage that led to cancellation of a Soyuz flight. The Russians, needless to say, could benefit from working with NASA. And given increasing political resistance to its own space station, NASA could clearly benefit from Russian rockets and modules to lower costs. More important to the Clinton administration, Smith said, was a strong desire to ensure Russia’s adhered to the Missile Technology Control Regime, a multi-nation partnership aimed at preventing the spread of high-power missile technology, and not sell advanced rocket engines to India. Smith said the United States eventually paid Russia $400 million to compensate it for cancelling the rocket engine contract with India. The money was paid through NASA as part of the U.S.-Russia space station initiative. The already existing shuttle-Mir program was expanded, becoming Phase One of the new International Space Station project. Phase Two was the actual assembly of the initial U.S.-Russian space complex, with Phase Three expanding the station to include international modules and partners. As the revamped program picked up speed, Goldin named Shepherd to serve as NASA’s first space station program manager. In an interview with the author, Shepherd recalled a visit to Moscow with the administrator to work out the details of Russian participation in the station program. While they were there, a constitutional crisis erupted when Yeltsin attempted to dissolve the country’s legislature, which in turn impeached him. The Russian military ultimately sided with Yeltsin, ending the crisis with tanks in the streets of Moscow. “We were in Moscow, and we were several miles from the Kremlin, but this was the day when tanks rolled out and they shelled the building,” Shepherd recalled. “We were eating breakfast and watching CNN coverage of the tanks rolling down the street. They swung around and the barrels pointed up a little bit. Ka-boom! The shell went right in the side of the parliament building. And an interesting few years for the space station program. 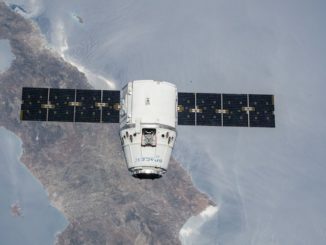 The former space rivals were faced with working out the details of an expanded shuttle-Mir program, now seen as a critical step toward joint operations, refining the design of the International Space Station, determining how to integrate their flight control systems, working out training details and dealing with a difficult language barrier. Perhaps more important, deep cultural differences, seasoned by resentment and mistrust in some quarters, had to be confronted and dealt with, or at least managed. From the perspective of many at NASA, the United States had clearly won the race to the moon. NASA was just as clearly more technically advanced than Russia, had more money to spend and was the natural leader of the station project. Not surprisingly, the Russians had a different interpretation of space history and their role in it. “If you were a Russian, how would you see things?” Shepherd asked. “They put the first artificial satellite in orbit, they put the first man in space, the first woman in space, did the first EVA, were first to fly around the back of the moon and take pictures, on and on and on. Some of that animosity lingers today at the higher levels of management, some say, but at the level of working engineers, astronauts, cosmonauts and flight controllers, mutual respect and cooperation were the norm. One major problem early on was the Russian space program’s ongoing cash shortage, which Smith said contributed to delays building the Zvezda command module. 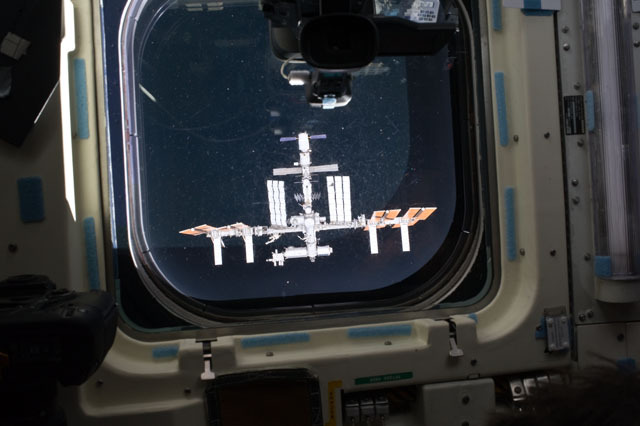 That, in turn, delayed ISS construction and the arrival of its first crew. NASA paid for Zarya module, but Zvezda was Russia’s responsibility. “It was a huge issue in Congress,” Smith said. Politics and funding aside, Russian technical expertise, and a philosophy that embraces simple, robust designs over high-tech complexity, has won praise over the years. Consider for a moment how one might design a toilet for use in microgravity. NASA had developed a very high-tech toilet for the space shuttle and initially planned an equally complex version for the station. “The Russian toilet (is) almost an agricultural piece of equipment,” Shepherd said. “But it’s made to be sanitary. It’s also made so you can totally tear the thing down in space, put new parts in it, put it back together again, you can do it almost without instructions in about an hour. It has very minimal electronics in it and it’s a robust piece of kit. It works. “When space station was looking at trying to develop a unique commode for ISS, the U.S. side wanted to have a device with multiple computers in it. Eventually they said, ‘let’s just use the Russian toilet.’ It works, and it’s robust. And if you’re a long way from home and you need something that absolutely will work when you turn it on, maybe it’s a better design. During the ramp-up to launching the first station modules, it quickly became apparent that a crew needed to be named as early as possible to help with critical design questions, ensure that crew concerns were addressed and to give engineers a reminder that lives were on the line. Russian cosmonauts had vastly more experience with long-duration space flight than NASA’s shuttle cadre and the Russians believed, with some reason, that one of their own should command the first space station crew. But NASA balked. The station project was an American initiative, they believed, and a U.S. commander for the first flight was non-negotiable. By this point, Shepherd had given up his program manager duties to focus on the technical side of station development, turning the management reins over to Randy Brinkley, a former Marine pilot who oversaw NASA’s successful repair of the Hubble Space Telescope. A veteran of three space shuttle missions and a former Navy SEAL, Shepherd was NASA’s choice to command the first crew. The Russians eventually agreed, assigning Krikalev and fellow Mir veteran Anatoly Solovyev to the Expedition 1 crew. But Solovyev refused the assignment when it became clear Shepherd would be the commander. 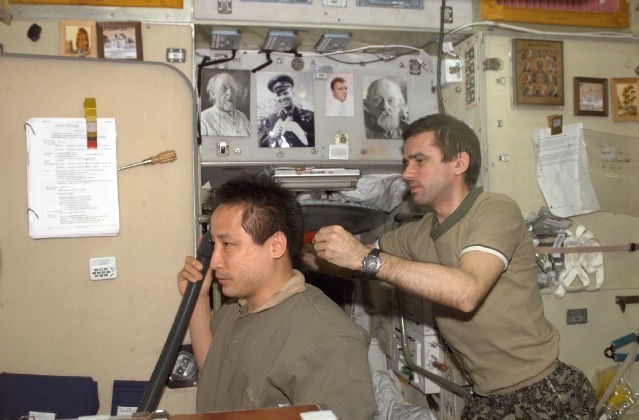 He was replaced by Yuri Gidzenko, another Mir veteran. But Shepherd and Krikalev, one of the most experienced space fliers in the world, hit it off, smoothing over any remaining rough spots. 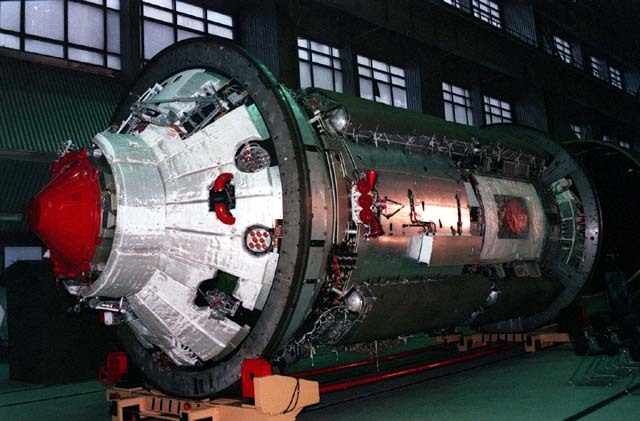 The Russian-built Zarya module, paid for and owned by NASA, was launched atop a Proton rocket on Nov. 20, 1998. NASA followed suit one month later, launching the Unity module aboard the shuttle Endeavour on Dec. 4, along with two pressurized mating adapters, tunnel-like extensions, to connect Unity and Zarya and to provide a shuttle docking port. Two shuttle flights then were launched to deliver supplies and equipment followed by launch of Russia’s Zvezda module atop a Proton rocket on July 12, 2000. 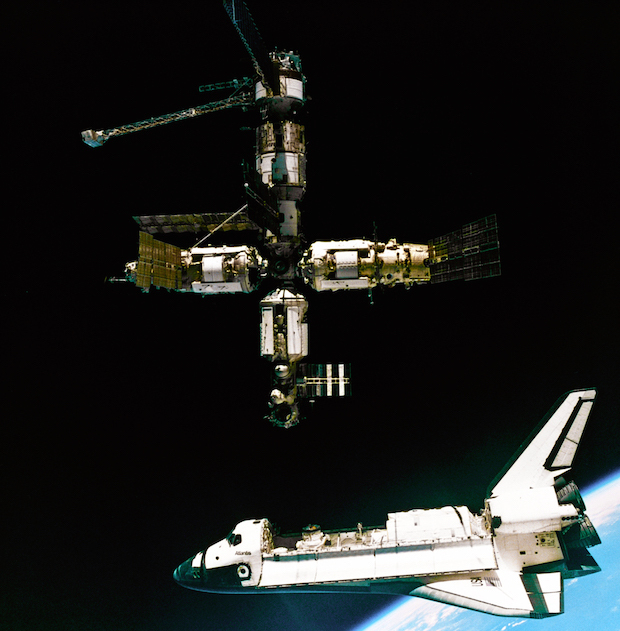 A Progress supply ship went up one month later that was unloaded by a visiting shuttle crew. Two more shuttle flights then delivered more supplies, a pressurized mating adapter, a KU-band antenna and a short truss segment housing four stabilizing gyroscopes that was attached to Unity’s upper port. The gyroscopes can maintain or change the station’s orientation without the use of costly rocket propellant. Finally, on Oct. 31, 2000, the stage was set for Shepherd’s crew to blast off aboard a Soyuz ferry craft. Two days later, the Soyuz TM-31 ferry craft docked at Zvezda’s aft port. Zvezda, also known as the service module, was packed with boxes and supplies. The crew could not immediately enter the Unity module because of a power configuration issue. The quarters were cramped, and the crew had its hands full activating various systems and deploying needed equipment. The crew quickly settled into a routine, getting up around 6:30 in the morning, cleaning up, eating breakfast, reviewing notes radioed up overnight from the Russian mission control center and participating in a daily planning conference, or DPC. Then they would get to work, unpacking stowed gear, troubleshooting problems and generally maintaining the station. For entertainment, the crew relied on DVD movies played on a laptop computer, music, books and periodic calls home to their families. There was no internet. The station was not yet tied into NASA’s communications satellite system. Instead, flight controllers and the crew faced long periods of silence until the station moved back into contact through a ground station. The communications gap was frustrating when problems cropped up, pitting the crew’s desire to make repairs themselves with the ground’s desire to develop fully tested procedures first. Or to delay repairs until the next crew got there with better tools and equipment. For Shepherd, Krikalev and Gidzenko, all technically competent, that was frustrating. So they frequently took advantage of the long gaps between ground stations to fix the problem themselves. Flight controllers would notice the repair when telemetry resumed. “They would say, how did you do that?” Shepherd laughed. “We said, well, we just took our tools out and went at it. They said ‘well, what procedures did you use?’ We said we didn’t use any procedure, we thought it up. The back rooms in all these control centers, the people are just apoplectic. Who are these guys to be fooling with our expensive hardware? One goal Shepherd was never able to achieve was convincing NASA management to give the space station a simple, memorable name after “Freedom” was dropped during the redesign. He lobbied for “Alpha,” but the name never caught on. “I still think calling the space station ‘ISS’ is a mistake, because it doesn’t have any real identity,” he said. “I would argue that whatever the ISS program is doing, they ought to put it in a bottle because this is one of the biggest stealth programs on the planet. People don’t identify with that acronym, and the average person in the U.S. doesn’t really have any understanding or knowledge of the space station, where it is, who’s on it, what it’s for. 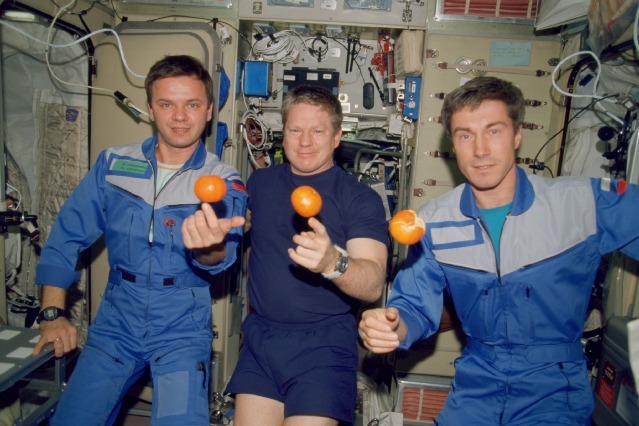 Shepherd, Krikalev and Gidzenko returned to Earth aboard the shuttle Discovery in March 2001. They were replaced by Expedition 2 commander Yuri Usachev, Jim Voss and Susan Helms. The lab has been home to rotating crews ever since. When Shepherd and his crewmates arrived at the space station on Nov. 2, 2000, the outpost consisted of the Russian Zvezda command module, the NASA-financed Russian-built Zarya propulsion and storage module, the American multi-hatch Unity compartment and a short truss segment known as Z1, inaccessible to the crew on the inside, housing the gyroscopes and electrical patch panels. The infant lab was provisioned with supplies and equipment brought up during four shuttle missions to ready the complex for the arrival of the Expedition 1 crew. But conditions remained relatively spartan. The station program, as usual, was in budget trouble with NASA projecting a $4 billion cost overrun when President George W. Bush took office. Bush considered canceling the project, Smith said, but eventually called in Sean O’Keefe, then deputy director of the Office of Management and Budget, to head up NASA and reign in costs. The Bush administration eventually opted to stop development of a U.S. Crew Return Vehicle, a combination lifeboat and crew ferry craft, and to cancel two modules: a large crew cabin and the Centrifuge Accommodation Module, a major component in the station’s planned research. It was the latest in a series of cutbacks that “eviscerated” station science, Smith said in an email. “NASA has been hoist on its own petard,” she said. “One can see why they would focus on construction first — as they said, why spend money on getting science ready to perform on ISS if there wasn’t going to be an ISS in the first place? — but it was science that paid for part of those overruns. In any case, the station quickly expanded as expeditions came and went. 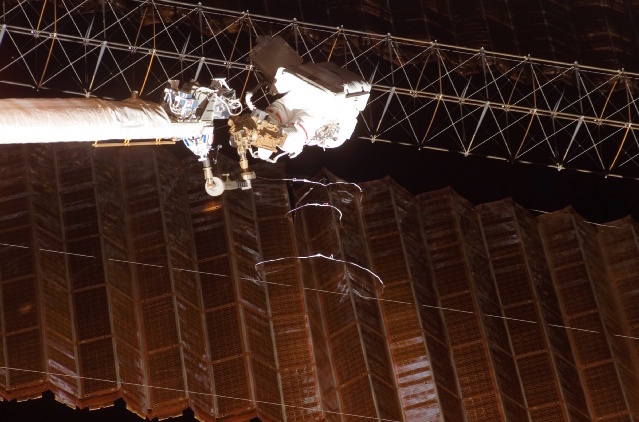 An initial set of solar arrays, known as P6, was temporarily mounted on the Z1 truss segment atop Unity and NASA’s Destiny laboratory was added to the node’s forward port. The Canadian robot arm was delivered and then used to attach the Quest airlock to Unity’s right-side port. The lab’s third crew arrived just a month before terrorists attacked the World Trade Center in New York on Sept. 11, 2001. Station commander Frank Culbertson, who attended the U.S. Naval Academy with one of the pilots of a plane that crashed into the Pentagon, snapped poignant photos of the black smoke shrouding lower Manhattan as the United States struggled to cope with the disaster. Shuttle assembly flights continued, but security restrictions were implemented that remain in force today, limiting access to NASA space centers and making it difficult for foreign nationals to attend launchings. But station assembly proceeded. The Russians launched the Pirs docking and airlock compartment, which was attached to the Zvezda module’s Earth-facing port, space shuttles delivered laboratory racks and a mobile transporter to move the station’s robot arm along the growing solar power truss. By November 2002, three truss segments had been installed, one atop the Destiny lab module that anchored the structure and one segment on either side. Getting the solar power truss built was a high priority to provide the electricity necessary for additional modules and planned research activity. But on Feb. 1, 2003, the shuttle Columbia burned up during re-entry after completing one of only two non-station flights left on the shuttle manifest. 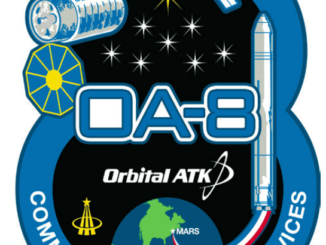 The disaster grounded the fleet for two-and-a-half years, bringing station assembly to a halt and severely disrupting the crew rotation schedule. The Russians launched a Progress supply ship on schedule the next day, but without shuttle resupply flights, the station could only support a three-person crew during brief 10-day handovers between the arrival of a fresh Soyuz and crew members and the departure of the Soyuz that carried the outgoing crew to orbit. 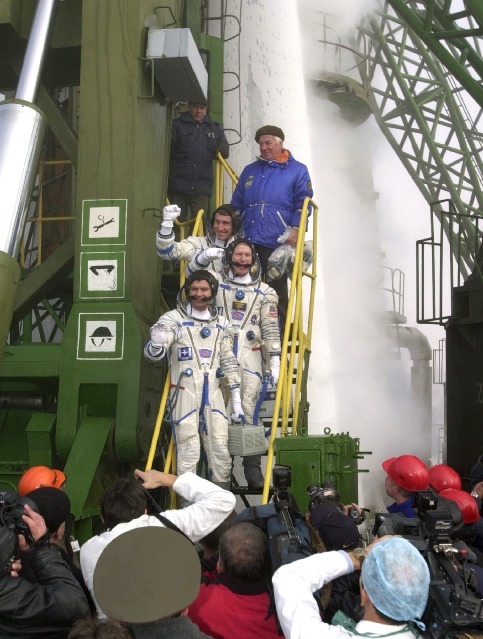 As a result, the three-man crew on board when Columbia went down returned to Earth in May 2003 and were replaced by a two-man crew: Yuri Malenchenko and Ed Lu. For the next six Soyuz flights, the Russians filled the third seat with four professionals and two space tourists, who each launched aboard one Soyuz and returned to Earth with the two departing station crew members. Russia charged the European Space Agency for seats aboard three such “taxi” flights and two space tourists paid upwards of $30 million for their brief sojourns in space, income that helped the Russian space agency make ends meet. A sixth seat was filled by a cosmonaut. Regardless of the financial arrangements, many NASA managers credit Russia with keeping the station afloat during the shuttle down period, allowing the lab to remain continuously manned in the absence of the orbiter and its ability to deliver many tons of supplies and equipment on a single flight. 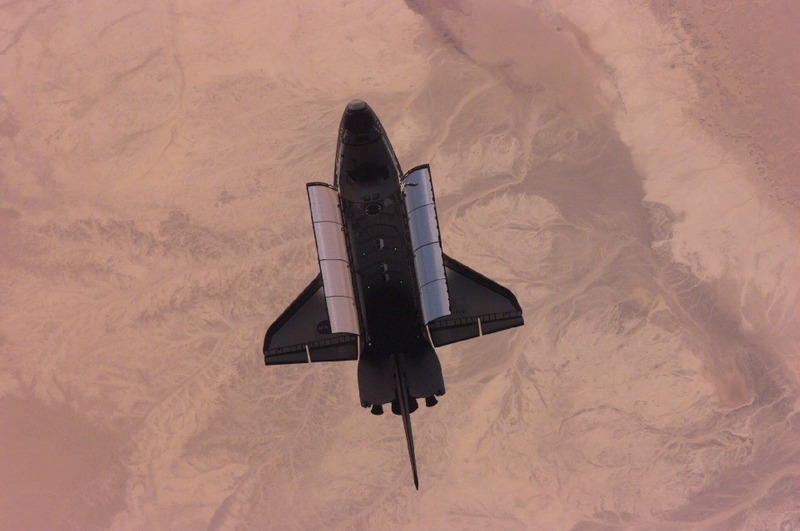 Shuttle launches finally resumed in July 2005 when the Discovery delivered a full load of supplies and equipment, including a replacement gyroscope. The station crew expanded back to three with the arrival of ESA astronaut Thomas Reiter in July 2006. But the space station assembly schedule was now on a very tight timeline. NASA had planned to upgrade its shuttle fleet and keep the orbiters flying well into the next decade but in the wake of the 2003 disaster, the Bush administration decided to complete station assembly as soon as possible and to retire the shuttle fleet by the end of 2010, a target that later slipped to mid 2011. With the shuttle’s days numbered, NASA implemented a program to develop commercial robotic cargo ships to make up for the looming loss of the shuttle’s cargo carrying capability. 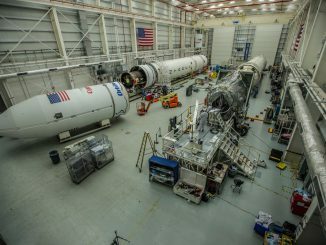 SpaceX eventually won a $1.6 billion contract to supply launch Dragon cargo carries atop the company’s Falcon 9 rocket while Orbital Sciences was awarded $1.9 billion for development of its Antares rocket and Cygnus cargo craft. In any case, shuttle assembly flights resumed in September 2006 when two port side solar array truss segments were added and a set of solar arrays, known as P4, were extended. The P6 arrays, temporarily mounted atop the Z1 truss segment to provide early power to the station, were moved later and mounted next to the P4 arrays and a spacer segment known as P5. But the P6 arrays could not be moved immediately. Instead, one side was retracted to permit the newly installed P4 array to rotate to track the sun. The starboard panels remained fully extended. In June 2007, two starboard, or right-side truss segments were attached to the solar power boom and a third set of arrays were unfurled. The starboard side of the P6 array atop Unity then was retracted. A pressurized module known as Harmony then was attached to the forward port of the Destiny laboratory, providing docking ports for the future attachment of the European Space Agency’s Columbus module and Japan’s Kibo laboratory. During that same mission, the stowed P6 truss segment was moved from Z1 to the far left-end of the solar power truss. Spacewalking astronauts had major problems retracting one set of the P6 panels, but engineers were hopeful they would re-deploy normally once in position. But as the array’s central mast began driving outward, pulling folded solar array blankets out of their storage box, the panels appeared to snarl and tear. Unless the array could be fully extended and locked in place, the vibrations caused by a shuttle or Soyuz docking or undocking could cause serious damage. And it could not be simply folded back up because NASA did not have a spare set of arrays and all of them were needed to provide the necessary power to the fully assembled space station. “We didn’t have spares, and we knew that until you got that thing extended you were kind of in this sort of no man’s land of limpness where you really couldn’t stand to depart and certainly not dock again in that condition,” Suffredini said. But in a bit of Apollo 13-style brainstorming, engineers came up with a plan for astronaut Scott Parazynski, anchored to the end of the shuttle’s robot arm, to sew up the rips, providing enough support to continue extending the central mast. It worked, and the array remains in operation to this day. Following the successful P6 deploy, a shuttle crew delivered ESA’s Columbus module. Two more shuttle missions were required to deliver the Japanese Kibo laboratory, a pressurized storage compartment and external experiment platform. A final set of solar arrays was attached to the right end of the power truss to complete the station’s power system. Four more modules eventually were added — a Russian docking port called Poisk, NASA’s Tranquility module, where the U.S. toilet, exercise gear and multi-window cupola are located and a Russian docking compartment that was carried aloft aboard a space shuttle. The last shuttle visit in July 2011 left the station with a full load of supplies and spare parts, along with a high-energy physics experiment and a left-over cargo module. Since then, the station program has been transitioning from assembly to utilization, with crews focusing on science as much as possible. NASA is funding development of new commercial crew ferry craft being built by Boeing and SpaceX that will enable the agency to end its sole reliance on the Russian Soyuz, allowing station crews to expand from six to seven to allow even more time for research. Station planners current budget about 37 hours per week for science. An extra astronaut will roughly double the amount of time available for research. But some U.S. astronauts will still fly up aboard Soyuz spacecraft and cosmonauts will rotate up and down aboard the U.S. ships throughout the life of the program. 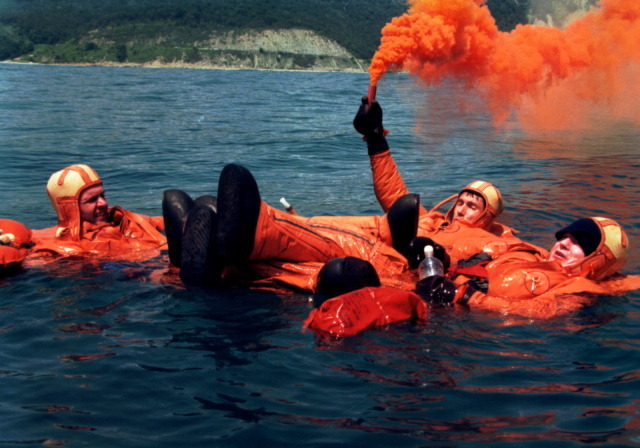 That will protect against the possibility of a medical emergency or some other issue that could force a vehicle, and the crew it carried, to depart early, leaving the station with an all-Russian or all-U.S. crew. At least one astronaut and cosmonaut must be on board at all times to operate each nation’s equipment. For better or for worse, neither nation can operate the station on its own. It is, in the end, a truly International Space Station. Despite Russian computer glitches, problems with the U.S. cooling system that required multiple spacewalks to fix, random failures of electrical components and recent resupply launch failures — not to mention a frightening malfunction that flooded spacewalker Luca Parmitano’s helmet with water — the station has operated remarkably well over the past 15 years. “None of us ever imagined we’d get away this unscathed at this point,” Suffredini reflected. “There were just so many challenges. … We were building this massive spacecraft in low-Earth orbit and with components that hadn’t seen their mates until they got to space. You’re at 900,000-plus pounds of spacecraft, with almost an acre’s worth of solar arrays out there, and all of it’s working.